75 Harley Street, London – what are veneers? 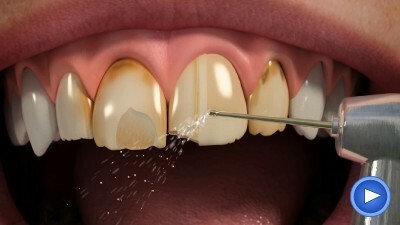 Veneers may well be your route to the stunning smile that you have always wanted but not everybody knows what they are. Here at 75 Harley Street in London we are often asked the questions, ‘what are veneers’ and ‘how do veneers work?’ The simple answer is that veneers are a layer of material that sits over your own teeth to improve the colour and look of your smile. The more detailed answer to the question, ‘what’s a veneer?’ is that a veneer is a custom made, incredibly slim porcelain shell, which is created specifically to suit the colour and contours of your original teeth. What are veneers and why would they be right for me? When our Harley Street clients ask us the question, ‘what are veneers?’ we explain that veneers can be used as an alternative to both crowns and braces in that they can close unsightly gaps between teeth, as well as applying correction to minor misalignments. The other reason that our London, Harley Street consultants recommend veneers is to improve the brightness of a client’s teeth. Most clients are more than pleased with these answers to the ‘what are veneers?’ question and recognise the advantages of a non-invasive dental treatment that can make a significant difference to irritating issues such as discolouration, fractures or other imperfections. Once our clients have the answer to the question, ‘what are veneers?’ they usually want to ask, ‘how do veneers work?’ Veneers work by both covering and protecting the tooth below them with a thin layer of custom formed porcelain. They are a far less intrusive treatment than either crowns or braces, give outstanding results and can be undertaken at our Harley Street clinic in London. No local anaesthesia is required for the placement of veneers and the only impact on the existing teeth is the removal of a very small amount of enamel, should this be necessary to make room for the veneer. One answer to the question, ‘how do veneers work?’ should probably be, ‘effortlessly’ because the process for placing them is quite simple. Once the tooth has been cleaned by one of our Harley Street specialists, a temporary veneer of the same shade as a client’s own teeth can be selected and placed on the tooth. As often as our clients ask the question, ‘how do veneers work?’ they also ask, ‘will the veneers look natural?’ We can guarantee that the answer to this is, ‘yes,’ because permanent veneers are created by laboratory experts from dental impressions taken by our Harley Street team in London. Read more about our veneers procedure. If you have ever asked the question, ‘What are porcelain veneers’ you might be keen to understand the answer. At our Harley Street clinic we only use veneers that are made of porcelain because they are far better at resisting stains than veneers made of resin. Our natural teeth reflect the light in a certain way and porcelain is by far the best material to mimic this effect. If you require any further answers to the veneers questions, ‘what are veneers?’ ‘how do veneers work?’ or ‘what are porcelain veneers?’ please don’t hesitate to get in touch with our team at 75 Harley Street London. You can also view before and after photos of veneers for patients we have looked after and find out about the cost of veneers to help decide if they're for you. 75 Harley Street Dental Practice is rated 4.8 out of 5 based on 16 ratings with Google.